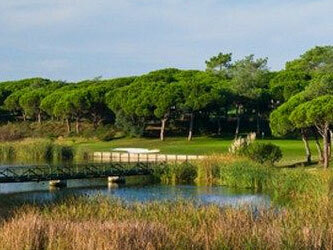 Quinta do Lago is an exclusive golf and residential estate nestling in nearly 2,000 acres of picturesque countryside and pine forests, bordering the Atlantic Ocean and the Ria Formosa Natural Park in the Algarve. Since its creation in 1972 it has won several awards for excellence and is a symbol of quality tourism, a place where outstanding natural beauty is perfectly complemented by gracious living. 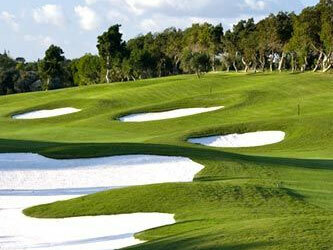 Each hole has generous landing areas off the tees and well-defined routing amongst the woodland pines setting. This layout encourages the average player to hit their drivers, but calls for accurate driving and fairway shot precision to reach the greens in regulation. The players will discover a good variety of doglegs and strategically well located hazards obstructing the line of play for anyone who strays far from the optimum line. The front nine favour a draw, whilst the back nine a fade from the tee. Holes 8, 15 and 18 are the most testing for the scratch player whilst holes 3, 12 and 17 offer the best possibilities to see more birdies putts. 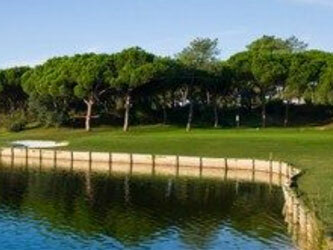 Quinta do Lago Golf Courses, is an enjoyable golf experience youll remember and wish to repeat and the 19th may offer the perfect respite to reflect on the challenge.